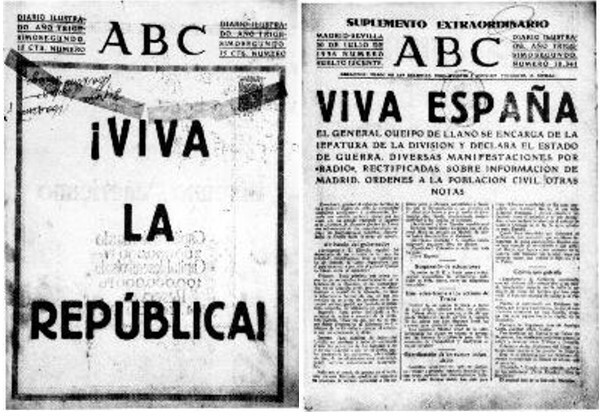 ABC de Madrid, the leading newspaper of the Republic. Radio Nacional de España, a newly-christened center for state broadcasting, operating out of the reclaimed Palacio de Anaya under direction of the Propaganda Minister. OOC wrote: Quotes denote radio broadcasts. "Workers! Farmers! Anti-fascists! Spanish Patriots! Confronted with the fascist military uprising, all must rise to their feet, to defend the Republic, to defend the people's freedoms as well as their achievements towards democracy! Through the statements by the government and the Popular Front (parties), the people understand the graveness of the moment. In Morroco, as well as in the Canary Islands, the workers are battling, united with the forces still loyal to the Republic, against the uprising militants and fascists. Under the battlecry 'Fascism shall not pass; the hangmen of October shall not pass!' workers and farmers from all Spanish provinces are joining in the struggle against the enemies of the Republic that have arisen in arms. Communists, Socialists, Anarchists, and Republican Democrats, soldiers and (other) forces remaining loyal to the Republic combined have inflicted the first defeats upon the fascist foe, who drag through the mud the very same honourable military tradition that they have boasted to possess so many times. The whole country cringes in indignation at these heartless barbarians that would hurl our democratic Spain back down into an abyss of terror and death. However, THEY SHALL NOT PASS! For all of Spain presents itself for battle. In Madrid, the people are out in the streets in support of the Government and encouraging its decision and fighting spirit so that it shall reach its conclusion in the smashing of the militant and fascist insurrection. Young men, prepare for combat! Women, heroic women of the people! 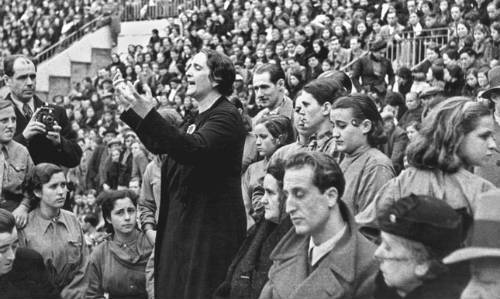 Recall the heroism of the women of Asturias of 1934 and struggle alongside the men in order to defend the lives and freedom of your sons, overshadowed by the fascist menace! Soldiers, sons of the nation! Stay true to the Republican State and fight side by side with the workers, with the forces of the Popular Front, with your parents, your siblings and comrades! Fight for the Spain of February the 16th, fight for the Republic and help them to victory! Workers of all stripes! The government supplies us with arms that we may save Spain and its people from the horror and shame that a victory for the bloody hangmen of October would mean. Let no one hesitate! All stand ready for action. All workers, all antifascists must now look upon each other as brothers in arms. Peoples of Catalonia, Basque Country, and Galicia! All Spaniards! Defend our democratic Republic and consolidate the victory achieved by our people on the 16th of February. The Communist Party calls you to arms. We especially call upon you, workers, farmers, intellectuals to assume your positions in the fight to finally smash the enemies of the Republic and of the popular liberties. Long live the Popular Front! Long live the union of all anti-fascists! Long live the Republic of the people! The Fascists shall not pass! THEY SHALL NOT PASS!" Banners such as this line the streets of Madrid. Photographic credit to Mikhail Koltsov. MADRID: As rebel forces undoubtedly begin to move against the Republic's capital, soldiers, militiamen, workers, and volunteers have joined together to prepare the city for the fascist onslaught. Urged onward by government figures such as the President and local leaders like the Communist General Secretary, popularly known as la Pasionaria, barricades have been erected along the streets and public defense routines implemented. Reports say that, for the moment, most insurrections in other cities have been put down, with the Republican Air Force -colloquially known as la Gloriosa have so far maintained air superiority over the rebels. Whatever the case, ABC reports that the mood, as ever, remains defiant – the spirit of the Republic's age is one of democratic, collective participation and resistance to tyranny. And so Madrid awaits, wondering if the world -whose journalists have now been invited to see the true nature of the war- will notice. 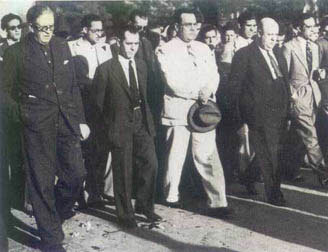 NATIONALLY: In response to the growing crisis and infighting caused by the fascist insurrection, President Azaña has requested and received the resignation of José Giral, citing the need to “make a people's government for the people's front”, appointing the former Prime Minister to the position of State Minister and in his place, gaining the approval of moderate socialist Juan Negrin. 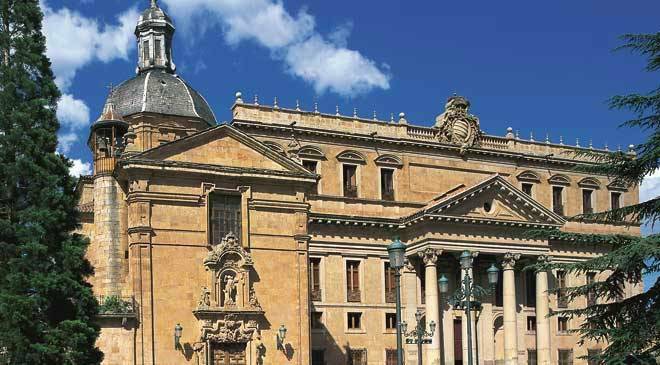 The new Prime Minister is tasked with forming a coalition government of all true Spanish patriots, and so far has announced his intention to include anarchists and communists alongside representation for the Catalan and Basque communities. While the final makeup of the cabinet is unknown, several certainties have been announced and merely await the approval of the Cortes. First is the dual appointment of Negrin's mentor, Indalecio Prieto, the umbrella ministry now known simply as National Defense, where it is assumed he will work with his new deputy, the Chief of Staff, on reforming the military and implementing his pet cause of ensuring the new Popular Army continues to act within the legal, moral, and ethical bounds of war. Other intriguing nominations are the moderate PSOE member Julián Besteiro and Dolores Ibárruri as Ministers Without Portfolio, Manuel de Irujo Ollo for Basque affairs, and the radical PSOE leader Francisco Largo Caballero (long a member of the UGT) to the Labor Ministry. MADRID: Diego Martinez Barrio, Speaker for the National Cortes, has announced that the Popular Front government shall continue, despite the new rebellion, to implement policies cementing the gains of the election saying, “As the adage has it, the dark comes before dawn. And if dawn is upon us, who wishes to see the sun and not find that they live in what was promised come morning?” This speech, given side-by-side with the President and José Antonio Aguirre, a leader in the cause of Basque autonomy, went on to detail several reforms to the Republic “in the name of both national security and Republican integrity”. The Speaker went on to state that he has submitted to the Cortes an emergency measure for the creation of a Provisional Government of the Basque Country loyal to the Republic, an army to match, and an immediate cessation of hostilities against Catholics overseen by a joint force of local clergy and political volunteers, as well as more expected matters like the creation of a national radio station, an investigatory committee for undue hostility and violence against Catholic citizens, and the further distribution of lands belonging to supporters of the Falangist rebellion. Representatives of the Catalonian government and the CNT-FAI were not in attendance, but it is rumored that similar negotiations are ongoing. All three leaders declined to comment on what effect these supposed changes would have on military matters. GENEVA: With Italian aggression in Abyssinia appearing to becoming more of a theme than an isolated incident, the Spanish delegation to the League of Nations has issued an appeal for a second round of harsher, more efficient sanctions against the Mussolini regime. Support in particular was provided for the position of Emperor Haile Selaissie, who has been referred to multiple times in national media as a “fellow anti-fascist” and a “progressive”, despite his status as a monarch. The measure, which has so far seen great popularity internationally, has led many observers to wonder if this is the establishment of a truly Republican foreign policy, and if the President will attempt to reach out to the Emperor in exile. Sources close to ABC could not confirm or deny that similar actions are in the works, or that the debate has inspired a re-thinking of national policy as pertains to the Moroccan protectorate and other colonies.